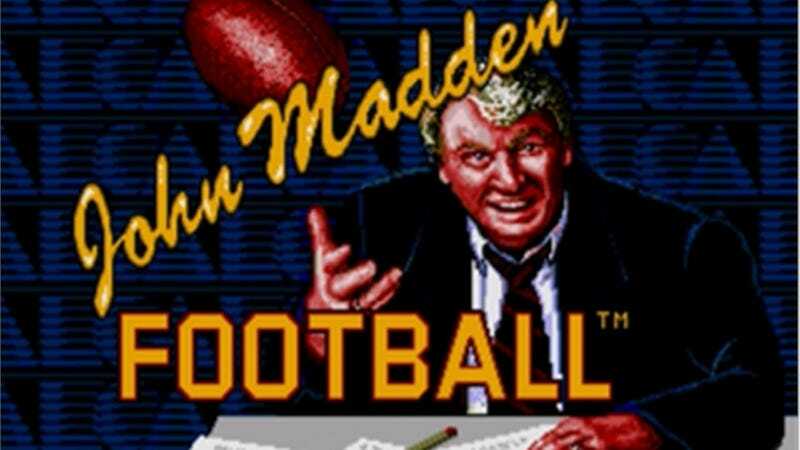 Unless they settle beforehand, on June 10 a federal jury will hear some of the claims brought by one of the developers on the first John Madden Football, a lawsuit that alleges Electronic Arts owes him millions in unpaid royalties. On Thursday, a federal judge ruled that Robin Antonick's claim for unpaid royalties could go forward; he limited the scope of the claim, but allowed enough of it that a jury trial is in the future for Electronic Arts. Antonick filed his lawsuit in 2011, alleging that the game EA currently publishes still draws on work he performed and concepts he introduced in the first Madden (indeed, the box cover itself credits "John Madden and Robin Antonick.") Basically, he argues that when EA was building the first console versions of the game in the early 1990s, it simply copied over what he had written for the PC version. As that code or his concepts are still in use today, Antonick reasons he's entitled to royalties. Madden has sold somewhere in the neighborhood of $4 billion worth of product, so a lot is on the line here. Electronic Arts has, one would say, vigorously disputed Antonick's claim. In 2011 a spokeswoman said the case was "utterly without merit," and later, Trip Hawkins, the series' creator, said Antonick overrated his importance to the development of the series. It has repeatedly sought to have the case dismissed. The Hollywood Reporter has a lengthy description of the arguments in play, Antonick's claims, EA's counterclaims and the law involved. It is mind-numbing, but knock yourself out if you're that interested. Bottom line, Electronic Arts asked a judge to throw out Antonick's suit, and he didn't, and Madden, eight months after settling claims of price-fixing, is back in the courthouse again.